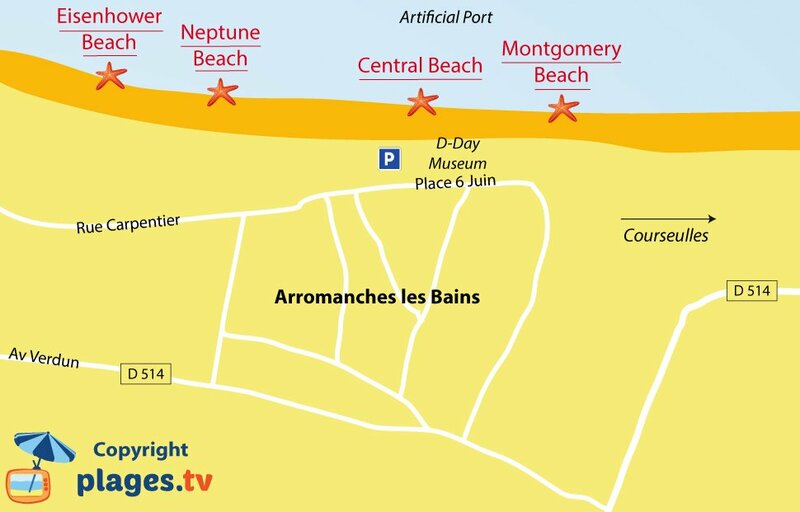 Arromanches-les-Bains Central Beach is the main beach of the resort. 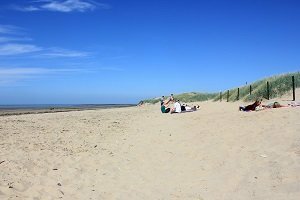 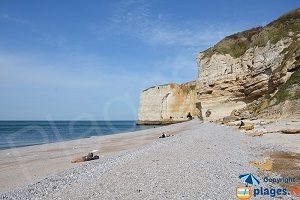 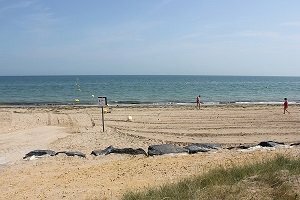 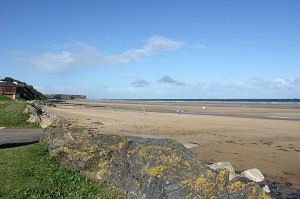 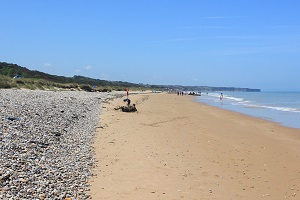 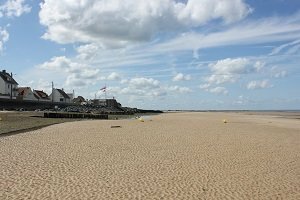 A mythical beach, it is part of the Normandy Landing beaches and is one of the most important (this is where the allies installed an artificial harbour to supply the troops). 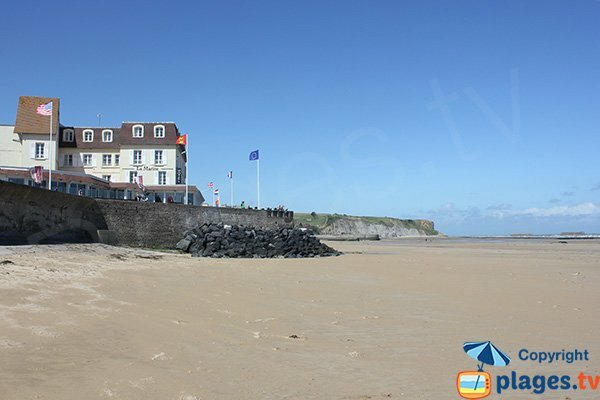 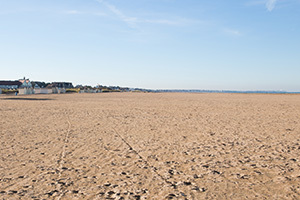 Long stretch of fine sand, supervised in the summer (during the summer school holidays), with many restaurants nearby (on the promenade) and shops. 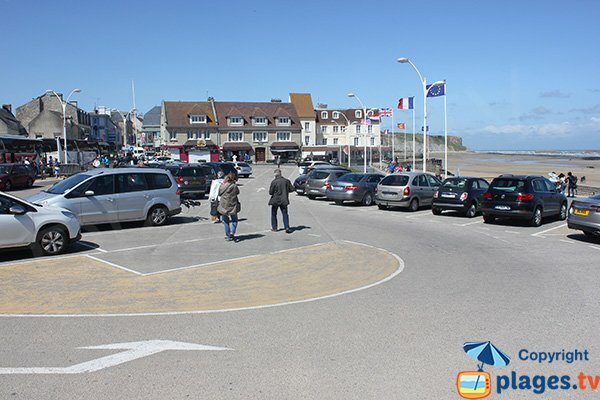 The parking is on the square of 6 June (unfortunately paying) next to the Museum of the Landing. 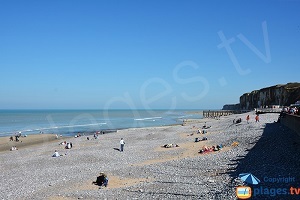 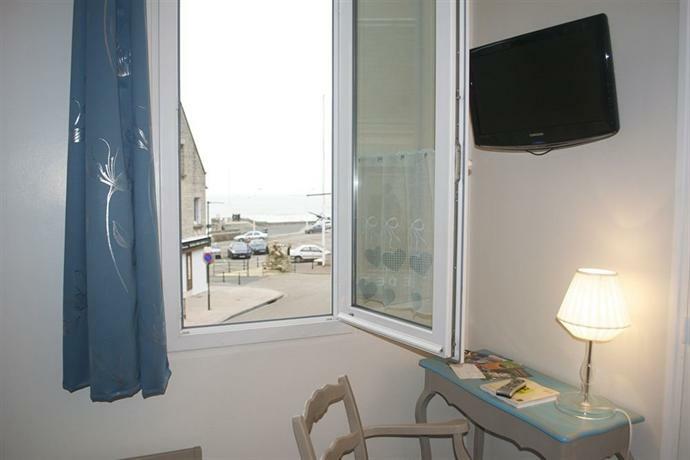 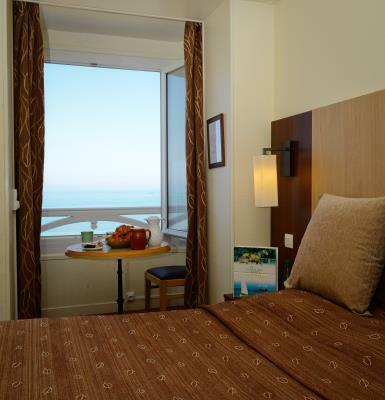 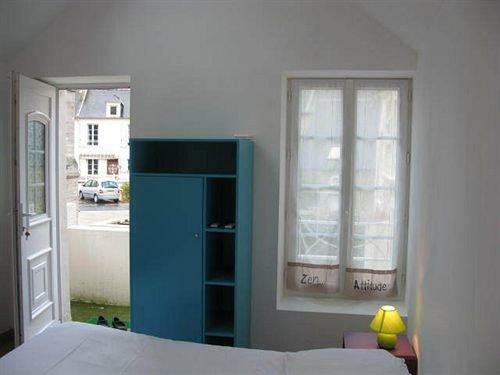 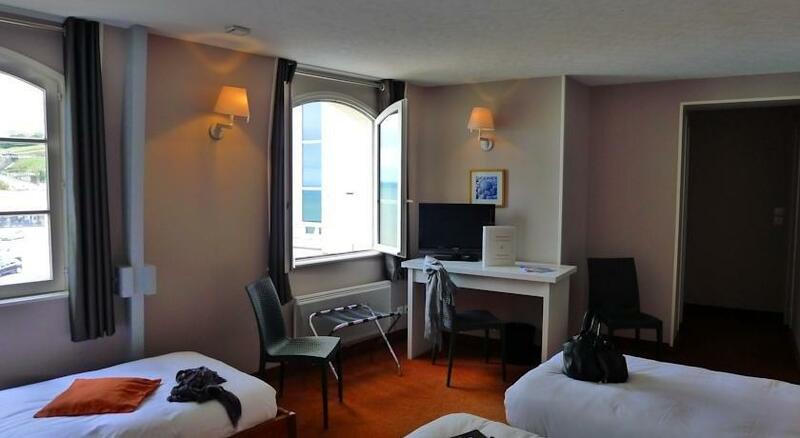 Urban environment but beautiful views of the surrounding cliffs in the direction of Tracy sur Mer. 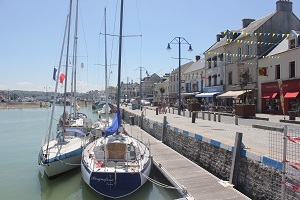 Toilets facilities next to the town hall. 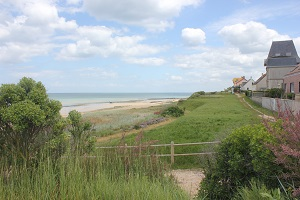 Beautiful stretch of sand for this Normandy beach in Arromanches overlooking the cliffs of Tracy. 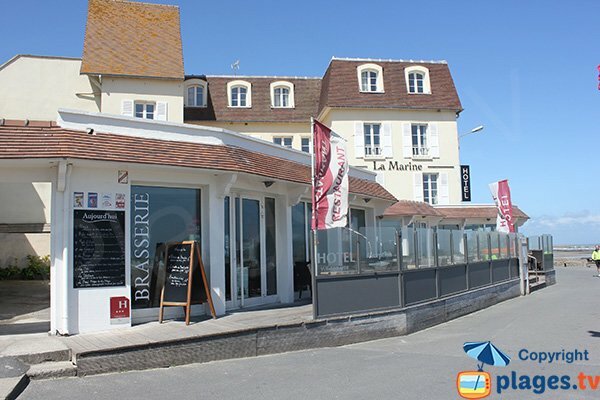 There are many shops on the seafront. 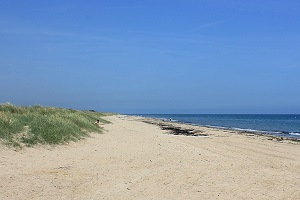 On the right, the beach stretches for several kilometres at low tide towards the east. 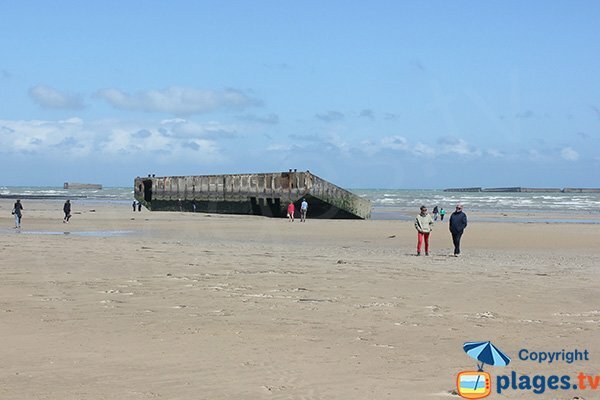 On the jetty, is the D-day Museum. 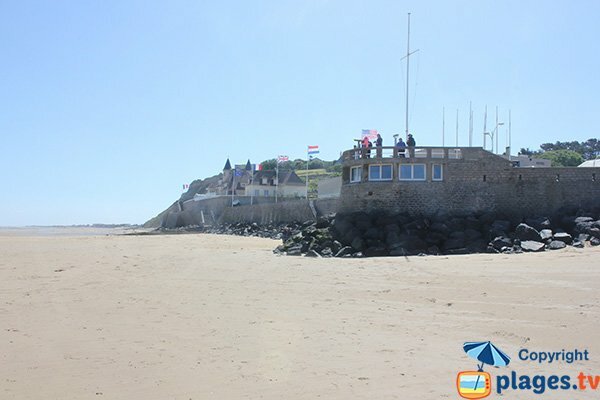 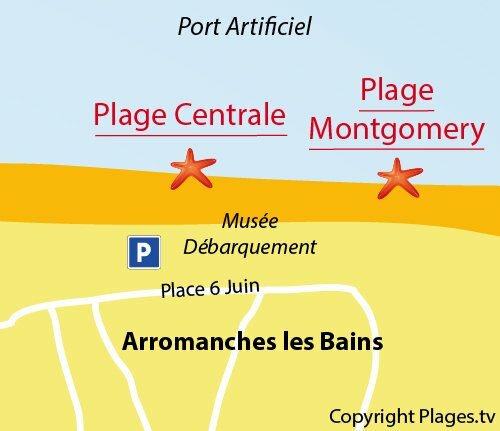 At low tide, you can see the remains of the artificial port of Arromanches directly on the beach (large containers to create a large jetty 8km long with concrete blocks). 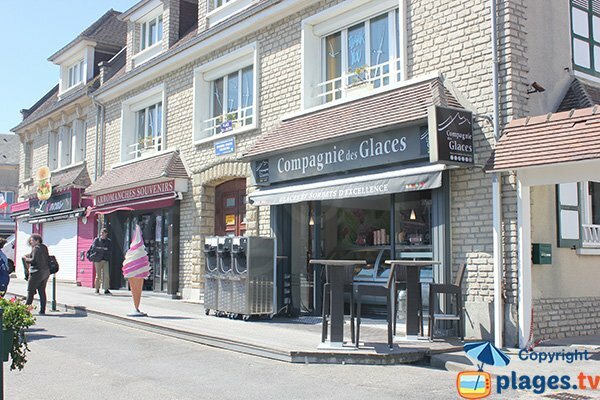 On the square of June 6, there are several restaurants.